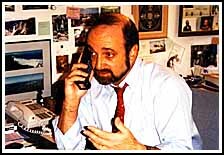 Hi, I'm Bill Kitzes, and for the past 35 years I've been working to prevent injuries from consumer products. I have served at the U.S. Consumer Product Safety Commission and as a Safety Analyst for product manufacturers. I often work as an expert witness analyzing risks for injured consumers. Much of my work has been devoted to protecting kids.